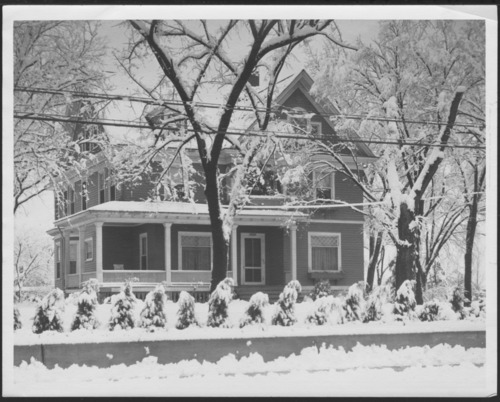 This is a photograph of the South House, Southard School, at the Menninger Clinic Children's Division taken after a snowstorm. In 1926, The Menninger Clinic established the Southard School for children. The school fostered treatment programs for children and adolescents that were recognized worldwide.